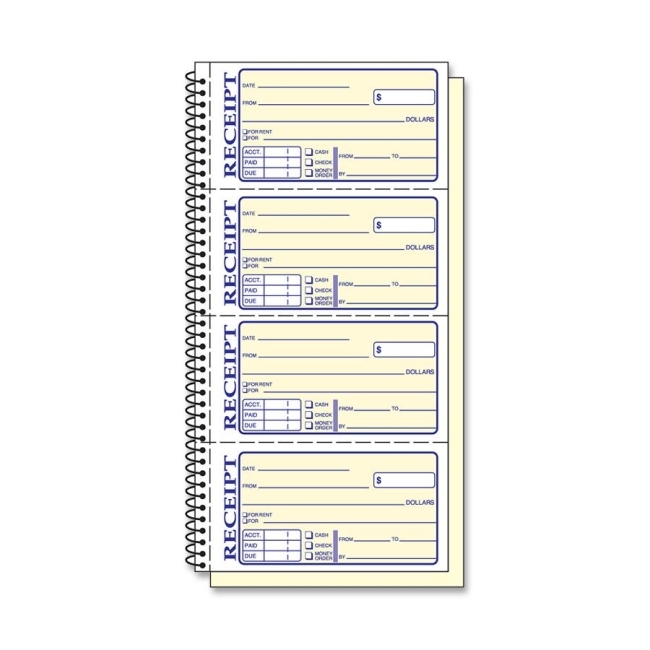 Wirebound book offers four perforated, two-part carbonless forms per page. Two-part format includes an original in white with blue and red ink, and a canary duplicate with a black/white image. Stop card prevents write-through to sets on the next page. 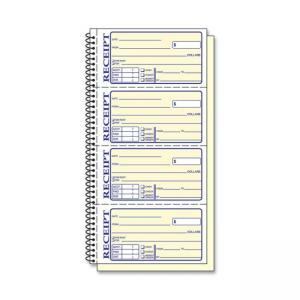 Each form includes a place to write the date, payer, amount paid, purpose of payments, time period that the payments covers, account balance, remainder due on the account, and boxes labeled cash, check and money order to chose payment method. Wirebound book opens flat and contains 200 sets per book.